It was truly sad to hear of the passing of a true legend in the Australian rock music scene. 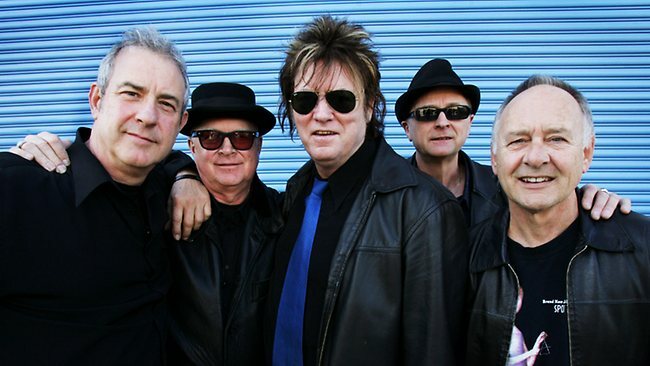 Doc Neeson, the lead singer of the iconic Aussie pub band The Angels died this morning in his sleep, 17 months after being diagnosed with a brain tumor. This video which was filmed in 2007 for Rockwiz is how I would like to remember him. He truly loved to perform and he was loved by the Australian people. His songwriting contribution to Am I Ever Going To See Your Face Again, Coming Down and Take A Long Line, among many, have become part of Australian music history. Skippy and the Nuclear bomb. If you love a cult Aussie classic, nothing beats this comedy take on Skippy – The Bush Kangaroo. Flashback : I love Lucy – The Candy Factory sketch. black and white, Comedy, flash back, Humor, I love Lucy, Lucille Ball, slapstick, TV. Absolutely Fabulous – Patsy Stone Tribute. If there is one television show that caught my attention for it’s amazing comedy and parody of the PR world, it was Absolutely Fabulous. Patsy Stone played by Joanna Lumley was perfectly cast for the role of the Fashion editor & best friend to Edina (played by Jennifer Saunders.) This terrific video is set to Lady GaGa, and a fitting tribute to one of my favorite comedy characters.